With much divine prompting, singer/songwriter and author Angela Dolbear sat down at her computer night after night in her cozy modest home in Austin, Texas, faithfully flanked by her golden retriever, to write her latest New Adult genre novel, MIND OVER MADELEINE – a tale of fear, forgiveness, and the Loch Ness Monster. 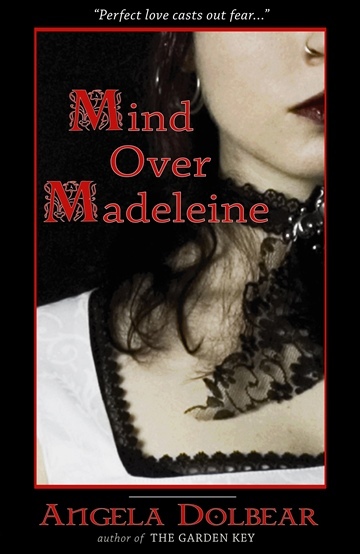 MIND OVER MADELEINE is the companion novel to THE GARDEN KEY – a tale of lust, redemption, and really good cheeseburgers, which was released in 2010 to rave reviews and emotional spent readers. Angela was born and raised in Southern California where she graduated from Biola University with a degree in Communication, with a Journalism emphasis. Currently, she leads worship with her husband Tim, at Northwest Fellowship in Austin, Texas. The couple also writes, records, and performs original adult contemporary music as child of the Son. “I didn’t set out in life to be a writer, much less a novelist. I’m a musician, singer, and published songwriter with three albums of original material released,” Angela says. Her music has achieved radio airplay in Southern California’s massive Orange County market. To learn more, please visit her website, www.TheGardenKey.com or www.CloudPillarPublishing.com for book and music information. Email: angela@cloudpillarpublishing.com.